We eat out most of the time during the weekends because I can't cook and we wanna give my mum-in-law a break. 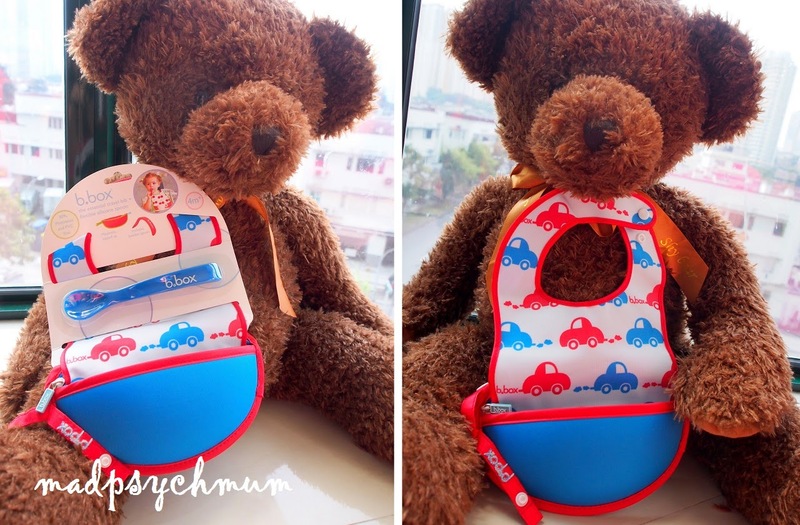 When we do, we often bring along Baby Boy's food jar, a spoon and sometimes a bib to feed him with. Sometimes we don't bring the bib or forgot to pack the spoon because there were just too many things to pack. That is, until I got a B.Box The Essential Travel Bib from Little Baby. It's an all-in-1 bib that even comes with its own spoon! I love all the cute designs that it comes in (see the other designs here) but thought the cars one suited my boy the most. I absolutely adore the bright colours! The unique thing about the bib is not only does it have a pocket to catch whatever food that drops from your baby's mouth, the pocket actually doubles as a holder for the bib and spoon! Put the spoon in and zip it up! You can either wash or wipe the bib when you get home (or at the nearest toilet, depending how OCD you are). 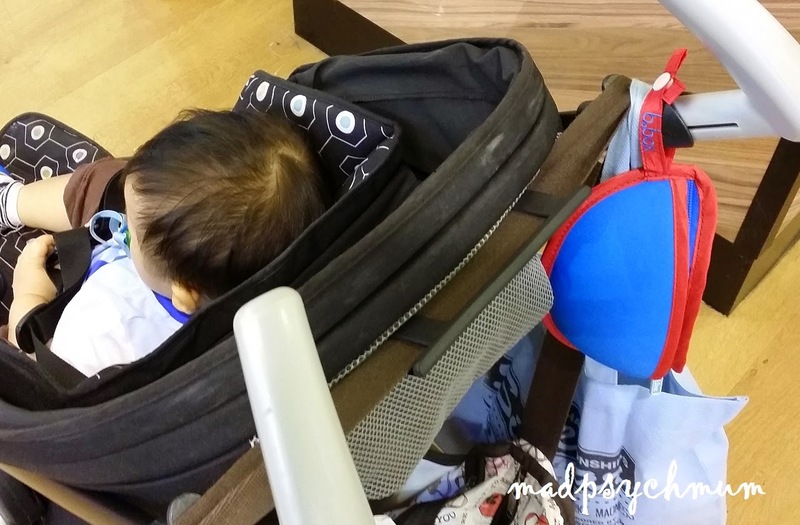 The bib also comes with a strap so that you can hang it on your bag, the stroller or anywhere you want. If you would like to give the B.Box Bibs a try, great news! 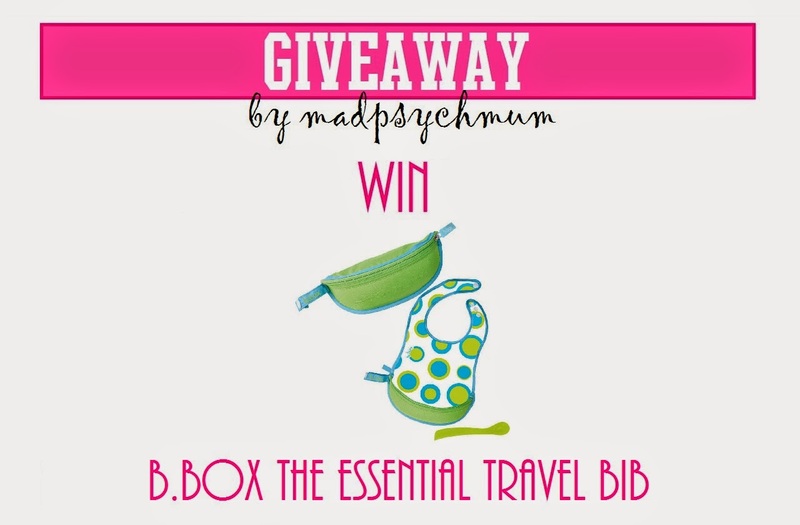 We are giving away a B.Box Travel Bib (worth S$24.90) to TWO lucky winners each! a) This giveaway ends on 25th February 2015 (Wed) and is only open to readers living in Singapore. 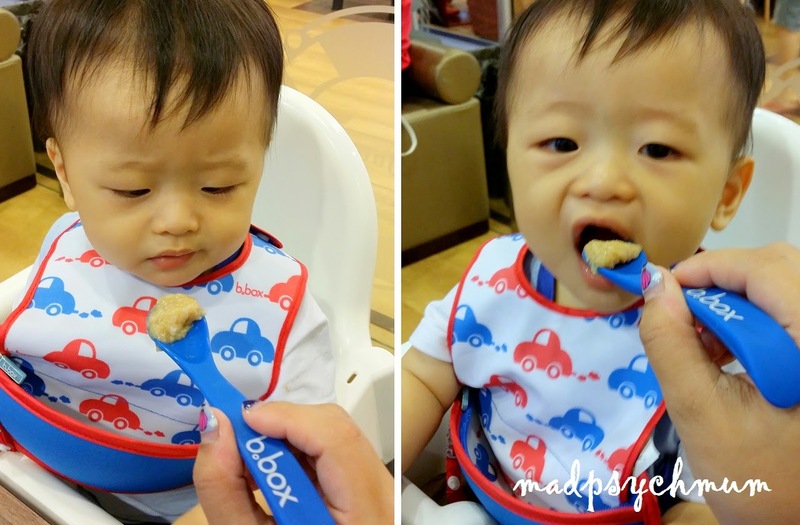 Disclosure: Complimentary bib was received from Little Baby Singapore for the purposes of this review and giveaway. No monetary compensation was received; all opinions are my own.